A brand new app gives meaning to ‘playing with your food’. 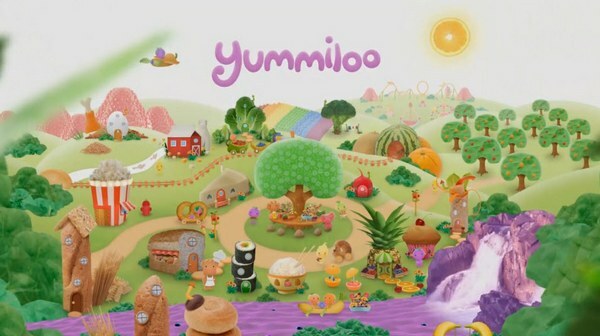 I opened Yummiloo Rainbow Power, the latest app from Night & Day Studios in conjunction with Yummico, with great anticipation and for one very good reason – behind Yummico is Traci Paige Johnson, creator of the groundbreaking preschool television series Blue’s Clues, which was unquestionably my kids’ favourite show as pre-schoolers. If you have happened across Malcolm Gladwell’s book, The Tipping Point, you’ll know all the reasons why Blue’s Clues was (and still is) in a class of its own. So I was eager to see how all this creative energy and experience translated into an app. Yummiloo Rainbow Power is gorgeous. Cute, appealing characters that engage from the beginning (with a clever tap-tap from ‘inside’ your iPad and a few tummy tickles), a sumptuously illustrated Yummiloo ‘land’ and animation that sets a new standard. The premise of the game is simple – help the Yum Yums choose fruit and vegetables of a particular colour to ‘power’ the Rainbow Machine. 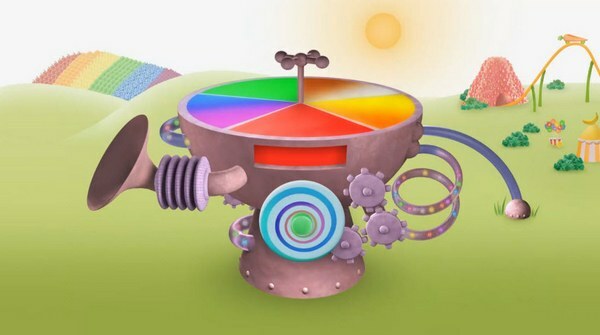 Once all five colours of the Rainbow Machine are filled with food, it’s able to run on full power, unleashing the carnival rides and a Yum Yum party. 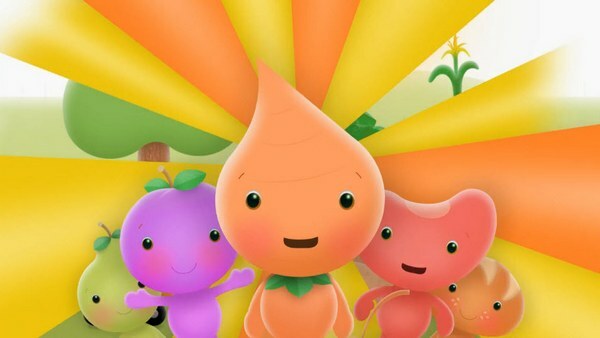 The Yum Yum celebration at end of the game reinforces the importance of ‘eating a rainbow’ and reminds kids that eating a mix of bright, vibrant coloured foods help their bodies function and grow. Yummiloo Rainbow Power is a simple game with enough repetitive elements to suit preschoolers. 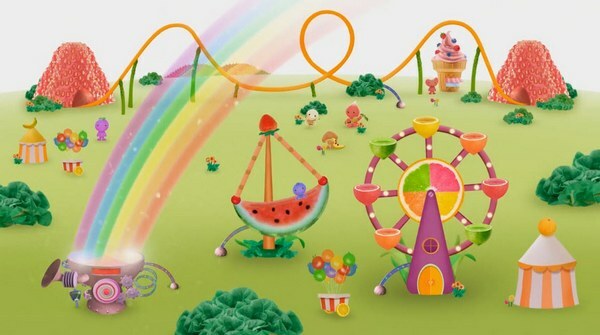 The fruit and vegetable sorting activity is educational but for three-year-olds, the main attraction is the beautifully presented Yummiloo land and carnival – a citrus sun, lettuce trees, baguette towers, a strawberry rollercoaster, pretzel cars, sushi houses and more. The details are imaginative and fun (and promise more in the Yumiloo future after Rainbow Power). Yummiloo Rainbow Power is suitable for children aged three and over. It’s available from iTunes for $1.99.